The Concrete Gardener: Happy 2015, A Guest Post by Eug! Below is a guest post by Eug. So I=Eug. Not Jo. Very important. Eug kept begging me so I finally relented (despite Concrete Gardener's strict editorial guidelines/policy). But Eug was lazy so he just copied and pasted from his January newsletter. So you might be wondering, why is he talking about books? Why is he making random lists? It's just what he does for his newsletters... I told him, "Dude, I got standards." But he said, "No, this way your readers would get a taste of my awesome newsletter and will want to subscribe." I said, "Do people even read newsletters? Blogs are cooler." He said, "It's more personal... Please!!!!" For this year, I’m trying to draw and write a little bit each day. Get into a good habit and flow. Hopefully that’ll mean more books for you all! Should we be teaching stuff? Despite all the books we read, we felt like newbie parents (still do) and now, despite all the books we read, we feel like newbie homeschoolers. 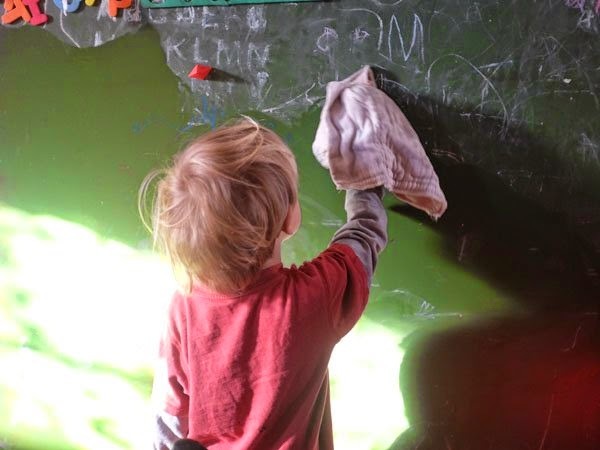 We’ve talked and dreamed about a pedagogy that could be a blend of unschooling with bits of homeschooling structure. But on days when everything goes crazy at home and we end up vegging out on youtube… I start to panic. So for this year, Jo and I came up with some goals for our children. But first, we’ll need to go into an area I love to explore… Productivity! So I used to be a GTD guy. Yes, I have Omnifocus on my Mac. If you’re a productivity nerd like me, then you know what I’m talking about, otherwise, sorry for the nerd talk. If you can make it through this section, it will all make sense. I promise. Recently, I gave up on GTD (sorry David) for a lot of reasons. My current flavor is Agile Results which I picked up from Asian Efficiency. Write 3 big yearly goals. As you can guess, each daily goal is a small step hopefully in the direction of the bigger goals. They’re also the focus and priority for my day. For me, I write the 3 yearly goals. The monthly, weekly and daily ones I write at the beginning of the month, week, or start of day. Keeps me agile you see. I don’t think the daily, weekly or monthly goal has to really line with the yearly goal or with each other. They should to make progress, but life happens and because things come up all the time, I might have a weekly goal that has nothing to do with the monthly or yearly, I just need to get it done. Like fix that leaking sink! Make a video out of one of my books. Done: see it on Youtube. Write a crappy first draft of a new chapter book series. Done: Think— Magic Treehouse meets Doctor Who. It’s an easy system to grasp and tweak for yourself. One you can implement with just pen and paper or a fancy spreadsheet. For 2015, Jo and I are coming up with goals for our kids. Not just curriculum goals like reading or math, but skills like learning to bike or swim and social skills or even teaching them to pray. 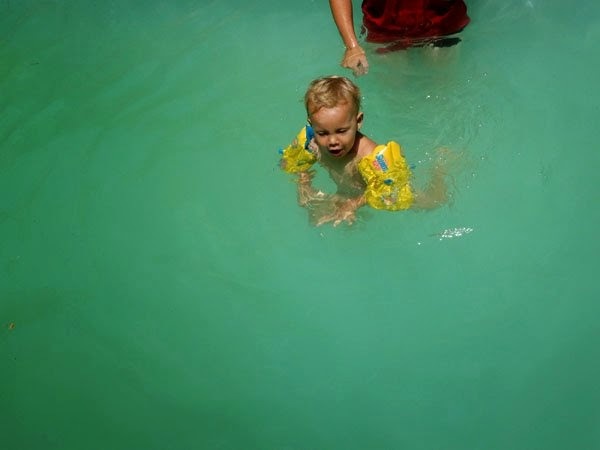 One goal we have is to teach our kids to swim. So in our daily planning, we might stop by the public pool for an hour in the morning or remember to bring our swimming costumes if we visit the grandparents. 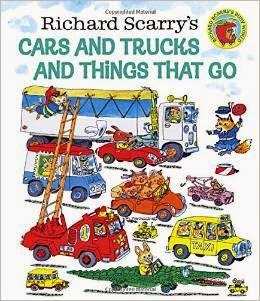 Richard Scarry's Cars and Trucks and Things That Go by Richard Scarry. The book I enjoyed as a child. And now our children enjoy. Before I could read, I remember pouring over the “busy” illustrations. Where’s Goldbug? 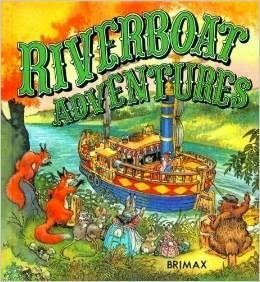 Riverboat Adventures by Lucy Kincaid. The book Jo enjoyed as a child. And now our children enjoy. You'll have to really search to find this out-of-print book, but it's worth it. 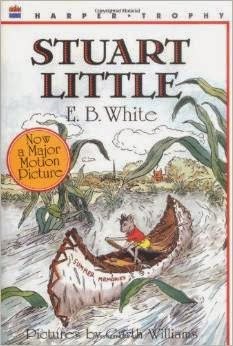 Stuart Little by E.B. White. This is the first book, I can remember reading in bed by myself. Charlotte’s Web is nice too, but I had a thing for rodents when I was little. 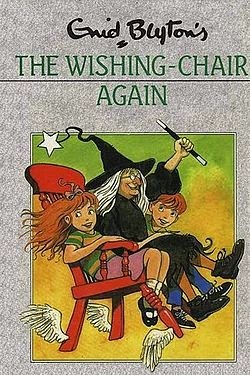 The Wishing Chair by Enid Blyton. Jo grew up reading Enid Blyton. Jo was shocked I never heard of her. But I think it's more of a British/South African cultural thing. Some of her works are a bit "colonial"... We got a copy of The Wishing Chair from the library to try it on Noah. 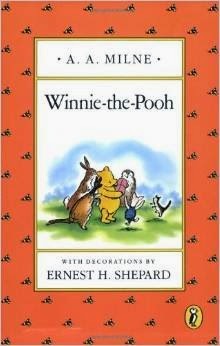 Winnie-the-Pooh by A.A. Milne. Here’s a book your grandparents might have read as a child. But stay away from those Disney versions. Seriously, pick up the old 1929 one with the scratchy drawing by Ernest H. Shepard. Pooh bear might not look cartoony and fun like the cartoons, but the writing is so much nicer. 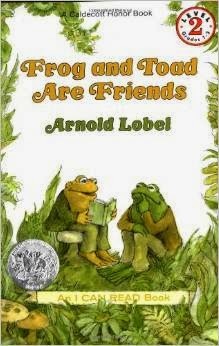 Frog and Toad are Friends. From my in-laws bookshelf. It’s two old amphibians being grumpy. Never gets old. 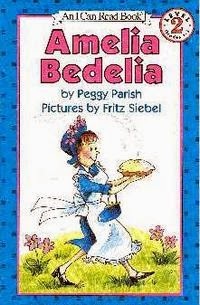 Amelia Bedelia series by Peggy Parish. There’s newer ones by Herman Parish that are just as good, but we’ve been checking out the olds one from the library. These books make Noah laugh, which makes me laugh. What books do you remember reading that you are now reading to your kids? Thanks for reading and thanks to Jo for letting me guest post. Finally! We thought there might be overlap between Jo's Concrete Gardener readers and Eug's monthly author newsletters. So, if you would like a rambling newsletter full of bad parenting advice, random lists of children's books, and paragraphs of ninja email marketing kung-fu to force you to buy my books when they come out... Then you should sign up! Click here. Free newsletter!! Yes, all links just go to my website, www.ebadams.com where you can sign up for that newsletter. I promise I won't sell your email address. How do you even do that??? Wait, do you know..?